Having missed the screening time of a film I was meaning to watch yesterday, I ended up just buying groceries at Robinsons Supermarket. I was looking for breakfast food and saw this seemingly new item on top of the shelf: Alfonso’s Instant Chocolate Champorado. Yes, instant, as in no cooking required! I bought the school promo with free pencil and sharpener for Php80.50. That’s more or less Php27 for each 55g champorado cup. 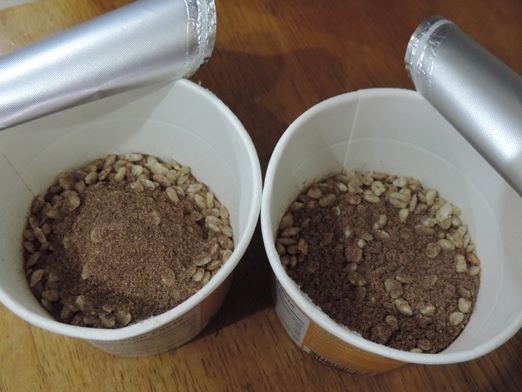 You’ll find two things inside each cup: a sachet containing the chocolate porridge mix and plastic spoon. 1. Pour contents of sachet into the bowl. 2. Put hot water and stir well. 3. Cover the bowl and wait for 2 minutes. 4. Add milk or use less water to make it creamier. 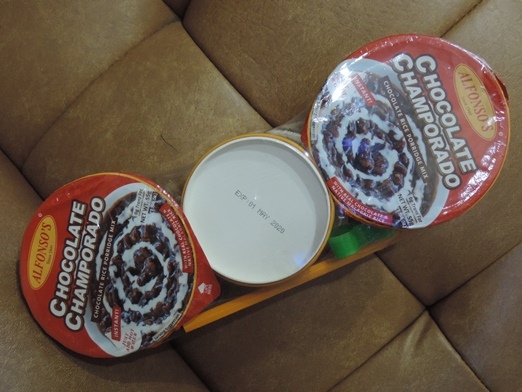 •	You can really taste the goodness of champorado because it has real malagkit rice and cacao tablets. •	It already has sugar, and the sweetness is just right. •	It has milk, too, from the whey powder. •	It has zero trans fat. •	It’s so easy to prepare. Alfonso’s Instant Chocolate Champorado earned my son’s approval, and for sure, he’ll be having more of it when school opens in August. 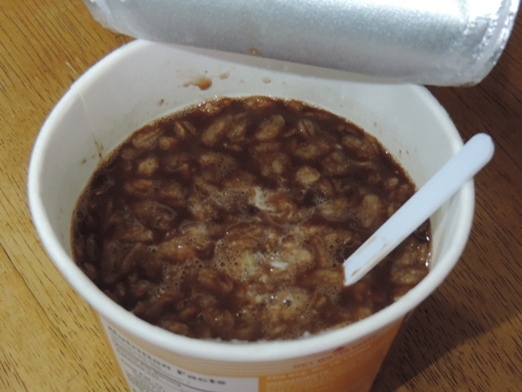 This entry was posted in Alfonso’s Instant Chocolate Champorado, Comfort Food, Pinoy Comfort Food, Product Review, Robinsons Supermarket. Bookmark the permalink. This is so perfect for my office breakfast! Will get one later and share it with my officemates. This is perfect for people on the go.